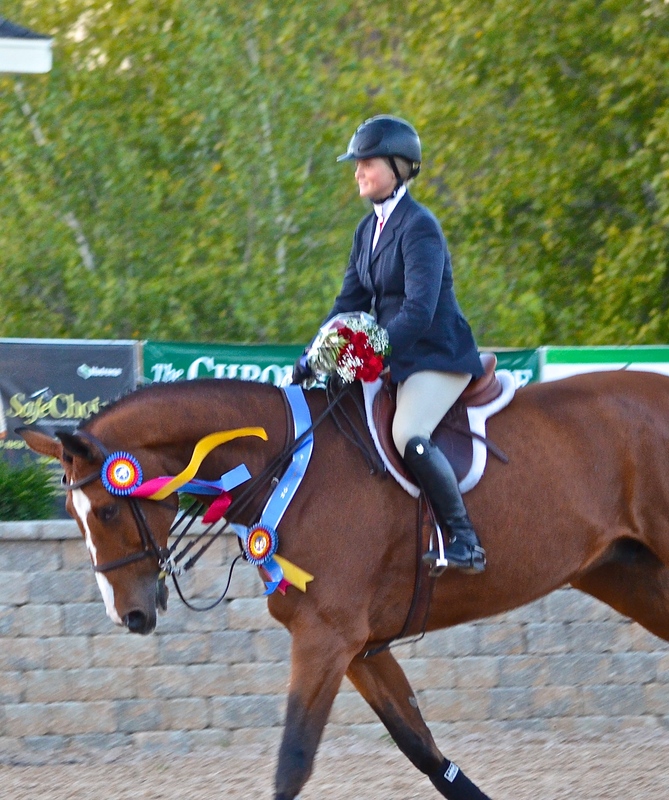 Maggie Bresch was one of the Perfecta Farm winners, clinching the win in the IHJA Children's Mini Medal Finals. Pictured (left to right) with Barrington Saddlery's Mallory Schall presenting and trainers Kim Gardiner and Mara Kranz-Olseng. 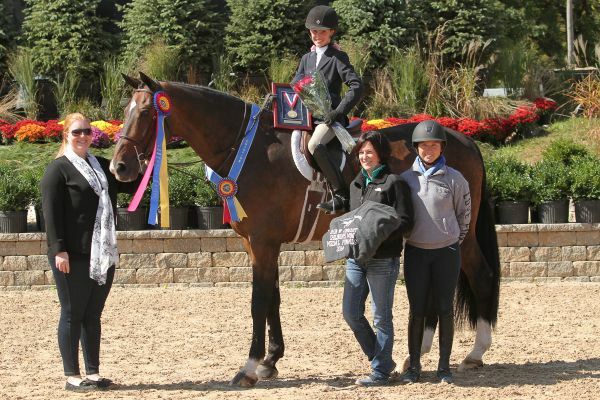 Wayne, IL – September 17, 2014 – Kim Gardiner’s Perfecta Farm is celebrating numerous equitation victories after the Showplace Fall Classic Championship Horse Show at Lamplight Equestrian Center this past week. 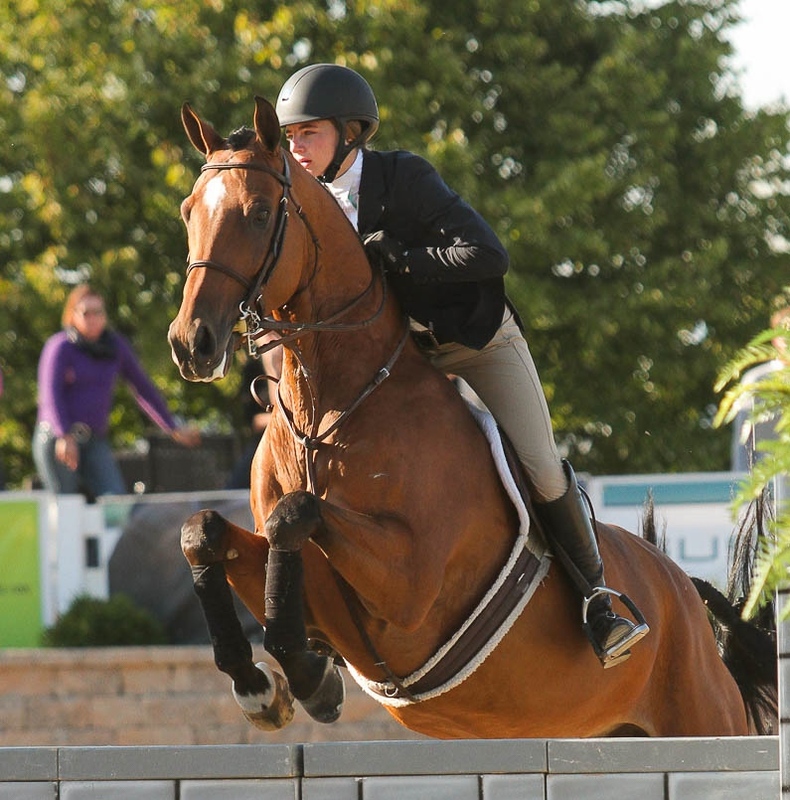 The show hosted the Illinois Hunter Jumper Association (IHJA) medal finals; the highly anticipated year-end competition riders spend the year qualifying for. The show also holds the Midwest Marshall & Sterling (M&S) Championships. Gardiner collected multiple top ribbons with her group of riders, which is not unusual for Perfecta Farm, and they excel in the equitation. Gardiner has a sure talent for working within a rider’s budget while providing the best opportunity for them to show at the top levels. She can match horses that do the job with the appropriate level of rider for a winning outcome. Lessons at home provide skills needed for riders to pursue their goals. With the assistance of Mara Kranz Olseng, Gardiner had both horses and riders prepared for the finals competition, with results showing in the number of their equitation riders placing in the top ten in their respective divisions. Some riders will be continuing on to the Regionals for the ASPCA Maclay Medal finals in Lexington, KY. Top junior riders Caitlin Boyle, Rebecca Kozma, Madison Potts and Brooke Nelson are the Perfecta riders who will be heading to the regionals. 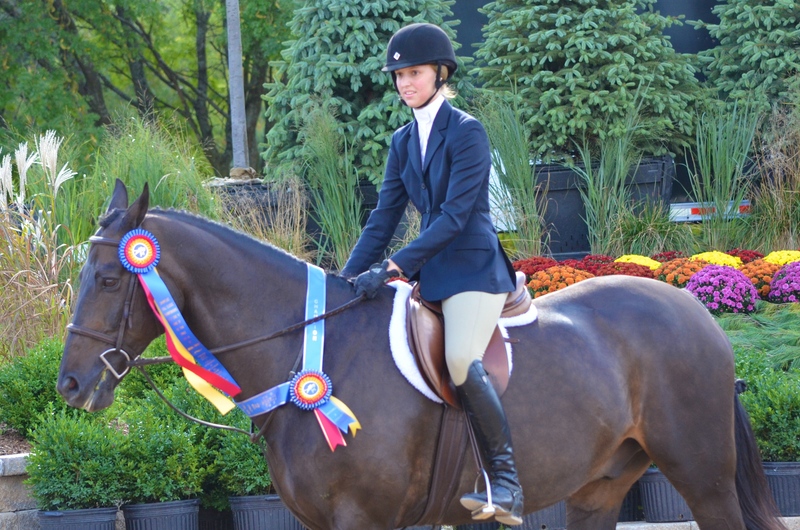 Caitlin Boyle, 17, was the winner of the IHJA Junior Medal Finals for the third year in a row and she also won the Marshall & Sterling Midwest Junior Medal Finals this past week. Boyle started her riding career at Perfecta Farm and has moved to the top of the Equitation ranks, now training with several professionals gearing up for the indoor season and the USEF Talent Search Medal Finals, the Pessoa/USEF Medal Finals and the ASCPA Maclay Medal Finals. Caitlin Boyle won the IHJA Junior Medal Finals and the M&S Junior Medal Finals. 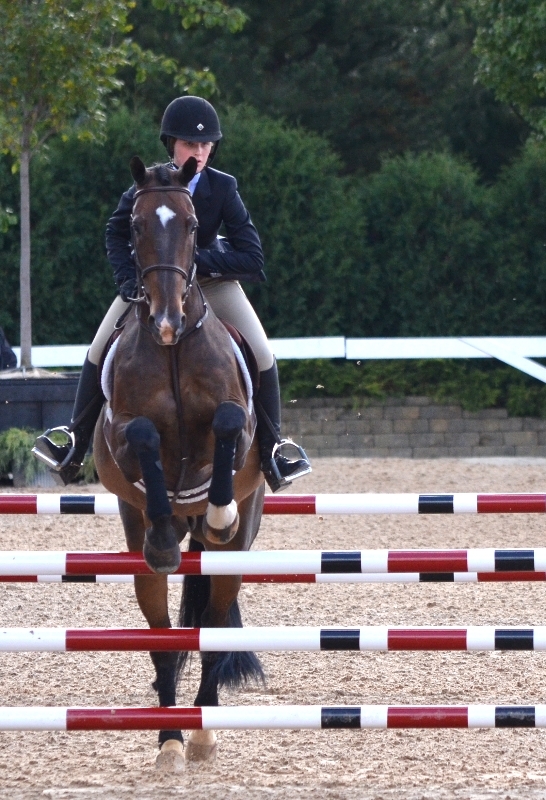 Along with Boyle, Perfecta Farm had four riders in the top seven spots in the IHJA Junior Finals. Young rider, Kozma, just fifteen-years-old, placed second in the IHJA Junior Medal Finals and fourth in the M&S Junior Medal Final. 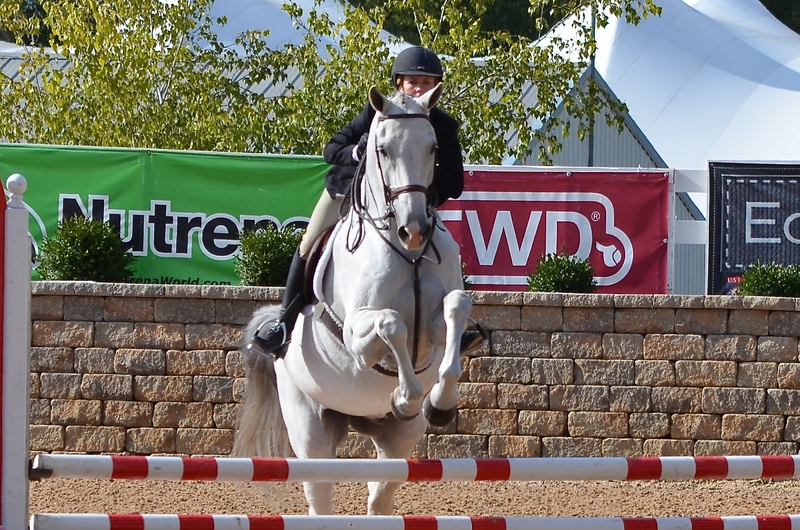 She has also been a top equitation contender qualifying for both the Medal and the Maclay finals this year. She has been riding a Perfecta Farm horse named Finn while qualifying for the medals. 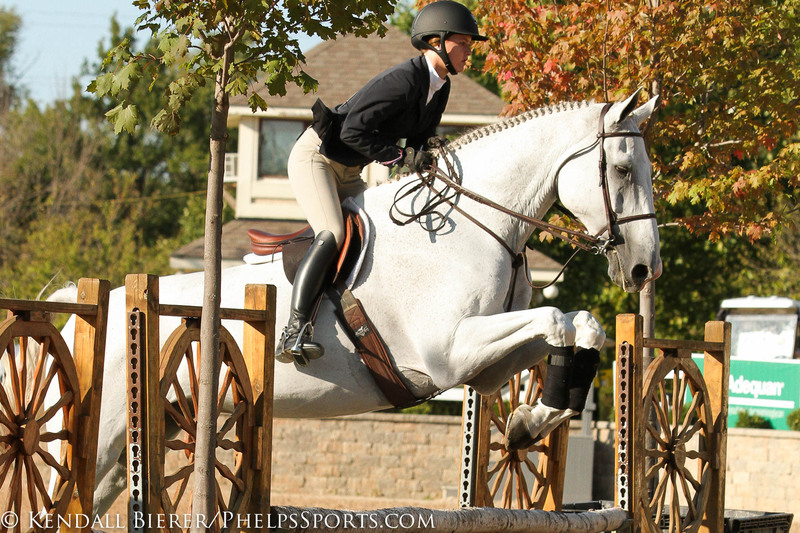 Madison Potts, 17, St. Charles, IL, earned the third place spot in the IHJA Junior Medal with Brooke Nelson, 16 of Batavia, placing seventh in the class and also 10th in the M&S Junior Medal Final. 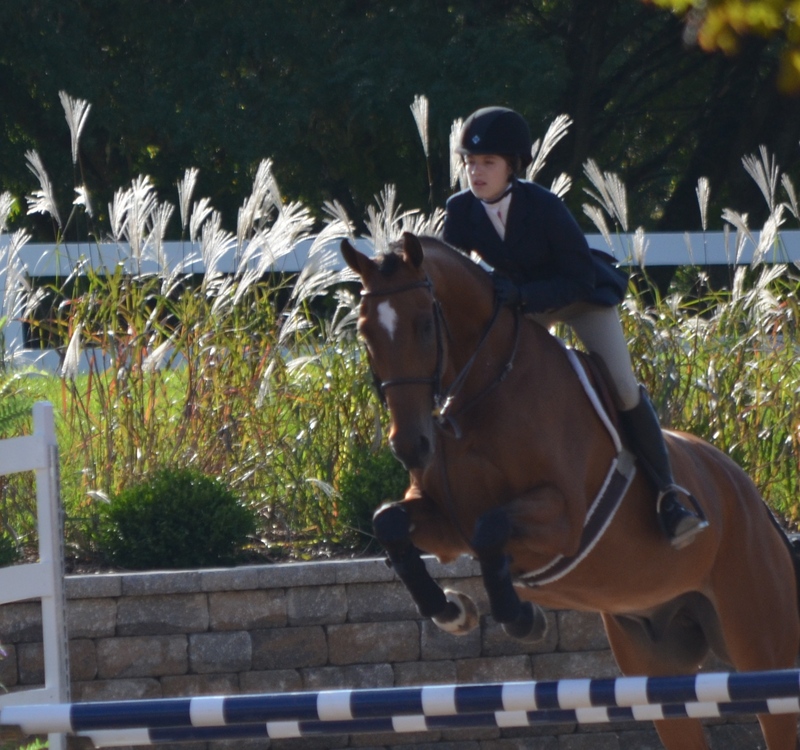 Madison Potts placed third in the IHJA Junior Medal Finals. Photo by Kendall Bierer/Phelpssports.com. Again taking a storm of ribbons in the Sore No More Children’s Medal, Perfecta riders finished at the top of the pack. Celia Bresch won on Bombardier, Andria Talavera took second, Grace Robbins 5th, Samantha Jensen 6th and Kalie Hoskins 10th. Celia Bresch won the Sore No More Children's Medal Finals. Andria Talavera placed second in the Sore No More Children's Finals. Andria Talavera was 5th in IHJA Children’s medal as well. Celia Bresch won the M&S Children's Hunter Finals. Photo by Andrew Ryback Photography. Topping off the weekend, sister Celia also won the M&S Children’s Hunter Finals and will be heading to the NAL Children’s Hunter Finals at the Pennsylvania National Horse Show. Nicki LaChapelle won the Farnam Adult Medal Finals. Nicki LaChapelle won the Farnam Adult Medal Finals on Perfect Landing with a first round score of 84 while another Perfecta rider, Jennifer Walter, was right behind for second place on a horse she had never ridden before. Jennifer Walter took second in the Farnam Adult Medal. Perfecta's pony rider Emily Scarnechia was 5th in the M&S Pony medal finals. Perfecta Farm is looking forward to the IHJA Year End Banquet in November. The banquet celebrates the year of hard work, successful training and dedicated riders as they are awarded their Championships for the season’s highest scoring horse and rider combinations. Rest assured, Perfecta Farm will have many of them, thanks to their winning program. 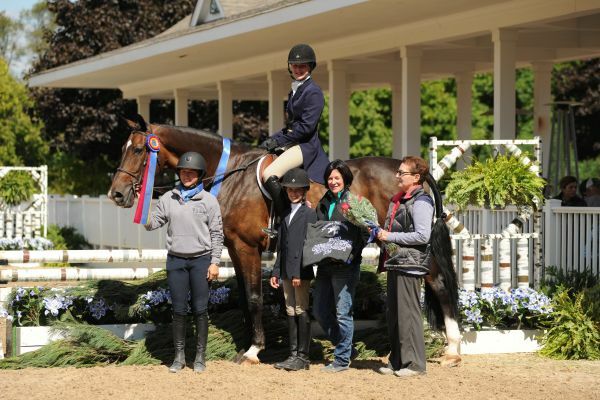 Trainer Kim Gardiner and assistant Mara Kranz-Olseng, have qualified many young riders for local medal finals, the National Equitation Championships and USET Gold Medal wins including 2014 finals contender, Caitlin Boyle.